Our fleet of luxury yachts offers exceptional accommodations, service and cuisine making them a perfect fit for events and celebrations that are guaranteed to impress. If you are in the process of planning a company holiday party, consider having your event aboard one of our elegant ships. It’s a fantastic way to entertain clients and colleagues, thank your employees for a job well done, or celebrate a year of great successes. It’s a wonderful way to show how your company separates itself from the rest of the industry by celebrating on a cruise around Manhattan! We can assist you with every detail. From DJ services and live bands, to photo booths, casino themes, strolling magicians and cigar rollers- there are so many ways to add a bit of pizazz to the experience! Spectacular highlights of Manhattan including the Statue of Liberty, Ellis Island, the Brooklyn and Manhattan Bridges, the South Street Seaport, the Intrepid Museum. All breathtaking! Cloud 9 IV offering panoramic views and plenty of room for dining and dancing! With three decks, 2 large bars, spacious dining and lounge decks, larger parties will have a blast aboard Aqua Azul or Atlantis. Both offer professional service and elegant dining opportunities! Manhattan I is a festive choice for intimate cruises. They even offer Christmas carolers and Hot Chocolate! 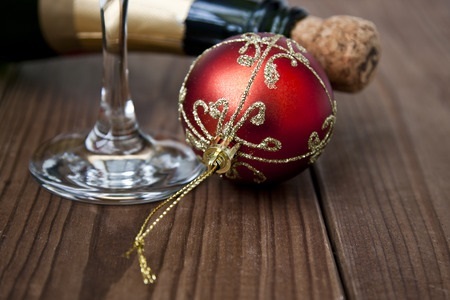 Once the holidays are over, there is still plenty to celebrate aboard our fleet of yachts. If you’re looking to have a spectacular event whether a milestone birthday, a Sweet 16 cruise, a Bar and Bat Mitzvah, an anniversary party, or a nautical wedding, why not consider a luxury private yacht charter! This holiday season…make it a spectacular one! For more information, menu offerings and a customized quote, contact Metro Yacht Charters of NY today at (646) 780-9693.